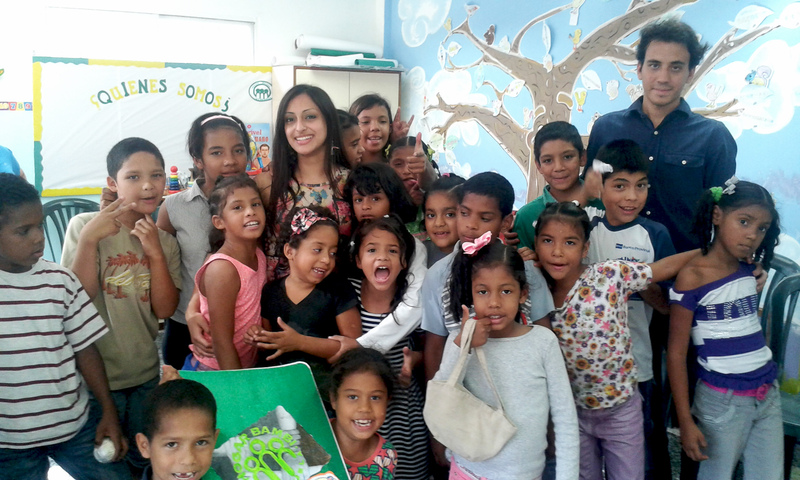 Hogar Bambi is an orphanage operating as a home and family for children and teenagers situated in Caracas, Venezuela. The children had diverse backgrounds stemming from abuse, violence, sexual abuse, neglect and most were abandoned. Some children were born into extreme poverty where the parents were unable to care or provide for them so they were taken into care at Hogar Bambi. This home, housing 100 children, provides them with everything they need from food, clothing, toys, friends, mothers, aunts, helpers, doctors, teachers and even psychologists to restore their fractured memories of the past. Sarah and her local presenter delivered a two day workshop on “Who I’m going to be when I grow up” through inspirational performance activities and role play games to a group of twenty orphans aged 7-12 years. Through the activities, the children developed confidence, knowledge, teamwork, inspiration and most importantly, they all knew what they wanted to be when they grew up. Through their interaction with Sarah, they developed new dreams – to learn English, to travel the world and to become explorers, even.